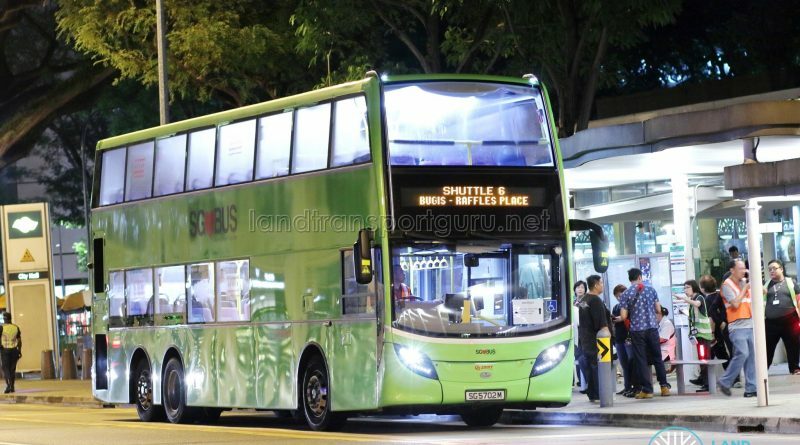 Shuttle 6, or the Bugis—Tanah Merah Shuttle Bus Service, is a Rail Replacement Service plying between Bugis and Tanah Merah, serving en-route East West Line (EWL) stations. 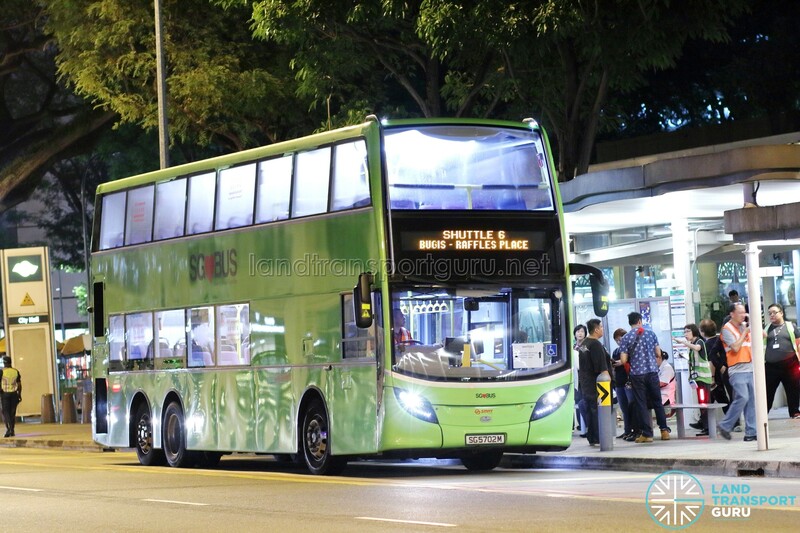 The route will be activated to operate during selected Fridays and Saturdays in May & June 2019, when shortened operating hours are implemented on the East West Line to facilitate additional engineering hours for power supply system renewal and maintenance works. Charges regular distance fare based on the distance between MRT Stations by rail. Train, bus and hybrid concession passes are accepted, and distance fare rules apply.